A tale of enchantment, where even dressed as a donkey, you can still win a Fairy Queen’s heart! 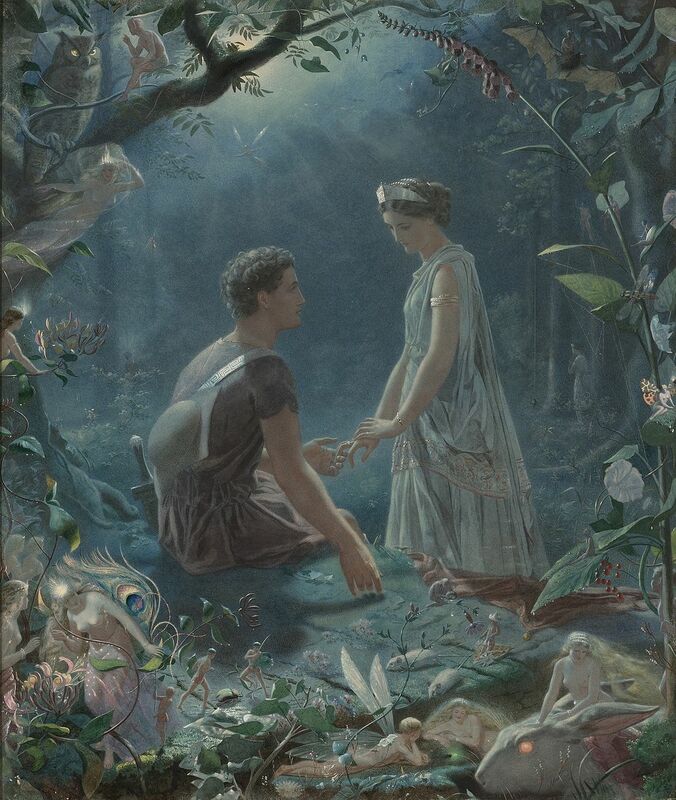 Shakespeare’s A Midsummer Night’s Dream captures the soul of summer with enchanted woodland where the wild thyme blows, nodding violet grows, and sprites frolic and play tricks on mortals. Set around the marriage of Theseus (Duke of Athens) and Hippolyta (Queen of the Amazons), A Midsummer Night’s Dream includes a spat between the Fairy King and Queen, the adventures of four young Athenians crossed in love and the rude theatricals of a group of six amateur actors. An easy, light hearted play, where all Players participate in most scenes. Each Player is designated 4 to 6 characters, with at least one character from each of the Athenians, Fairies and Mechanicals. The average number of speeches is 86, and average number of lines is 364 lines. Players do not have to be familiar with the Play, or to have read it at all. Dinner Play’s A Midsummer Night’s Dream is designed for 6 Players.